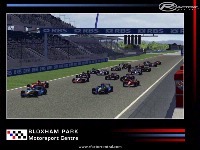 Bloxham Park Motorsport Center is a scratch built fantasy circuit located near the village of Bloxham in Oxfordshire, England. Bloxham Park is based on the traditional English ex-WW2 airfield. When developing the track I was thinking along the lines of a circuit that would have developed in parallel with Silverstone as the years rolled on. Infact Bloxham is a spitfires hop from the Northamptonshire circuit, Although I was imagining that it was an ex-bomber base! The circuit now has working night lights and a much more worn feel. It also has shadows activated to improve that real feeling. 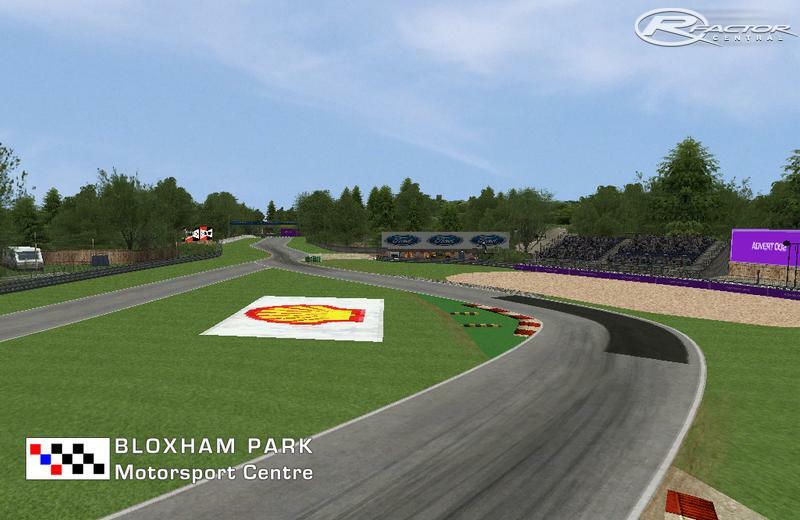 Bloxham Park is now easier to spot in the multiplayer server list. 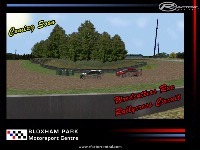 The tracks can be found with the names BloxhamGP & BloxhamINTER. Make sure you read the readme and let the AI do a track learning sesion to get the most out of the AI. Your feeback is always welcome, so let me know what you think. Added another screenshot showing revised textures and new trees! Added 3 screenshots of the WIP. 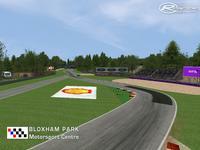 One shows new possible chicane towards the end of the lap on the 'Grand Prix Circuit'. Another shows the turn off for the 'Woodcutters Run Motorcross Circuit' as you aproach Turn 1 'Anchors'. 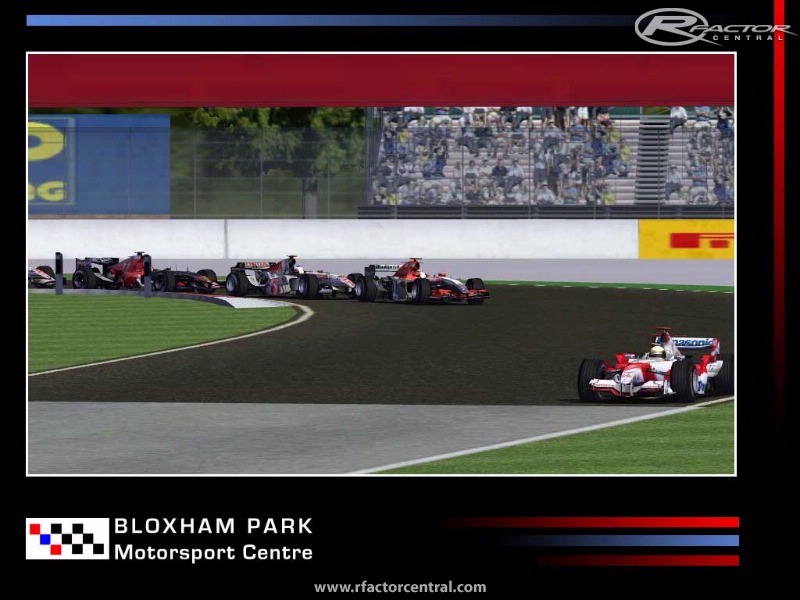 Final one shows a section from the 'Woodcutters' which is in the infield of the GP and Inter circuits. More is to be done, but am making slow progress. Hopefully soon I will get back to working on the track and getting the updates i'd mentioned ready to rock. Life stuff got in the way, its much easier to be a modder if your a single man sat in your pants!!! Been working away on it slowly for the last 6 or 7 months. I have been mainly working on changing things so future texture changes can be made with ease. 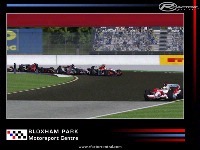 1: New scratch buit pit buildings with replaceble inner garage texture for easy change to different years and mods - eg F1 2010 pit team colours and names. 2: Replacement grandstands with session specific crowds - eg practice no fans, race full of supporters. 3: New modern version of the rallycross circuit called "Woodcutters Run" - it was part of the imaginary history for the track so I thought it was time to add it to the available configurations. 4: Revised scenery as you drive round - new embankments, concrete areas, grass textures etc..
5: New AI lines for International and obviously Woodcutters Run - AI for international was a bit rushed. No rease date as yet, as I'm as busy as a fat man in a red suite on the 25th of december at the moment. Hopefully soon. Feedback always wanted, so fire away. Rather enjoying the International Circuit, GJ Stevo. Added Extra download links. Enjoy. Now with two layouts. More download links to come. Have just changed the download links to versions including the AI fix, and added the AI fix as a download for people who already have the track. 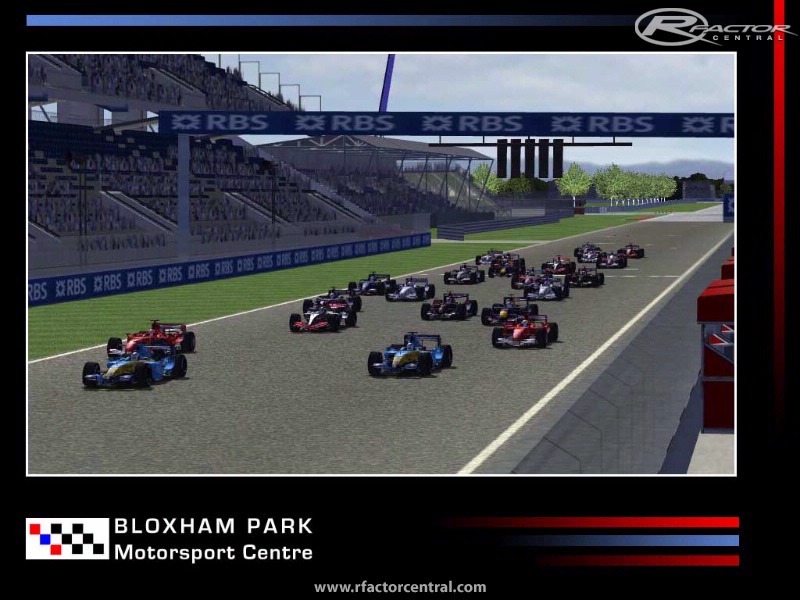 Just making sure you are putting the whole bloxham park folder in the rFactor\gameda\locations folder, and not putting the Grand prix circuit folder in there. Also please can you say your PC spec's so we can check that side of the street.